To be honest, I was never a big fan of Green Flash. I still don't really dig their West Coast IPA. 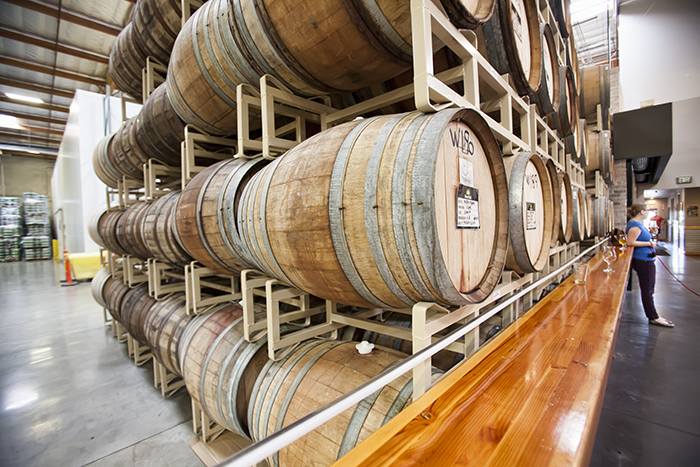 But when it comes to awesome breweries and even awesomer brewery tours, theirs is hard to beat. 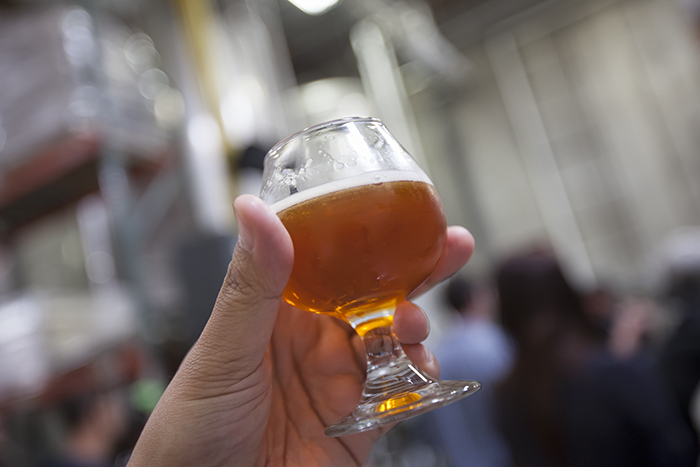 Indeed, if you're a home brew geek, you must make a trip down to Mira Mesa. Most of the information went over my head. I won't lie. But even for the layperson, it's a great tour. And the people are just incredibly friendly and enthusiastic about what they do. It all starts when you pay your $5 and get your tour token. At strategic points through the tour, you will receive your four beer samples. First is the West Coast IPA that you see here. That's followed by Hop Head Red, Le Freak, and their Double Stout. The Double Stout is served to you at the conclusion of the tour. If you haven't had enough at this point, you can get any of their brews on tap or in bottles to go. They also sell growlers and half growlers. We walked away with a half growler of Le Freak. A couple of days later, they had the release party for their seasonal Road Warrior Imperial Rye IPA and we couldn't resist coming back. We ended up getting that in a four-pack, while refilling our half growler with their Serrano Chili Double Stout. Delicious!